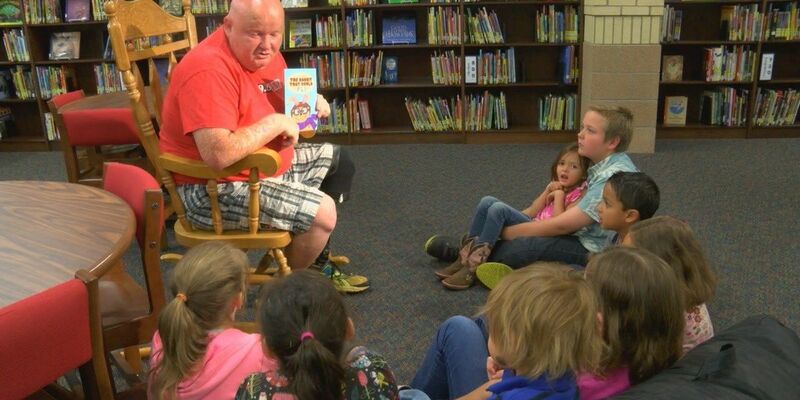 TYLER, TX (KLTV) - An unlikely storybook character is teaching a lesson about faith. East Texas author Scott Plummer chose a furry creature to help parents explain when and why they pray, in his new children's book, "The Rabbit That Could Fly". Plummer says it's all about perspective. "When we look with our hearts and not just our eyes, we see things differently." The tale, illustrated with his own drawings, is helping kids stay grounded by introducing them to daily prayer. "You know, can I ask for this. What can I do? You know, what does prayer do? The questions of a five-year-old." There's a message for parents if they read between the lines. "It's also about finding God's blessings where they are, instead of where we want them." The farmer and stay-at-home dad weaves his own family's experiences in faith throughout the tale about a little girl and her pet rabbit. "You know, the little girl wanted her rabbit to be able to fly. Because she changed the way she looked at it physically, she noticed that the rabbit was flying every time it jumped. So, she was already blessed with a flying rabbit. She was just looking at it the wrong way." Plummer says many children are introduced to prayer before meals and at bedtime but lack experience with spontaneous requests about life's uncertainties. "Yes, there are problems, but there is a way to handle them through faith and prayer. You cannot get an answer if you don't ask a question and prayer is the way." His inspiration for the writing project came from personal tragedy. Scott's wife and five kids were exposed to the power of prayer after he lost part of his leg in a shotgun accident. "You're laying on the couch, watching your life go by. It gets dark. Prayer was the only way you have out of it. It's the only way you have to find the light. That's what's essentially kept me alive." With a renewed trust in God, he's now trying teaching kids that triumph can come through any of life's trials. "My hope would be that God is glorified, children learn to pray, and it gets families to talking more about the importance of prayer. If it does, then it's done its job." "The Rabbit That Could Fly" is available for purchase in paperback and e-book. It can also be found on the shelves on East Texas bookstores and libraries. Plummer has pledged to donate 10 percent of his sales to children's ministries in the Tyler area.